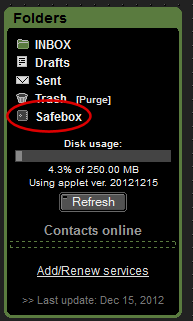 Countermail's Safebox is a password manager, a secure place where you can store all your usernames and passwords. 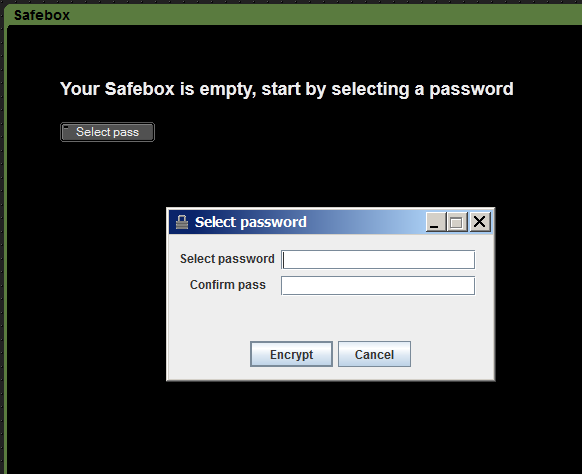 All data in the Safebox is protected with one master password. 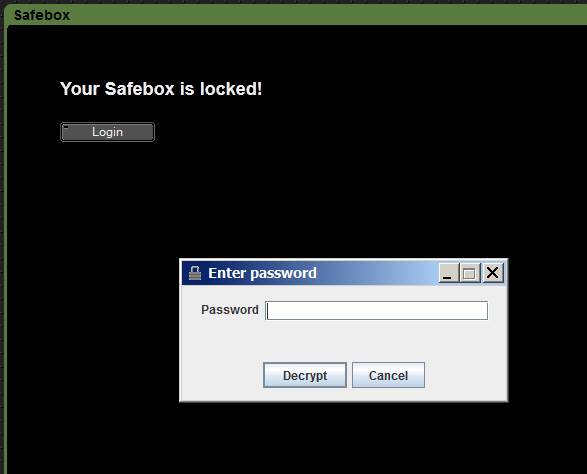 The Safebox does not use any public/private keys, it's using pure OpenPGP symmetrical encryption. This means that the Safebox encryption is separated from your account keys and password, so you can use a different password for the Safebox. As usual, all encryption/decryption is done on your local computer, inside the Java-applet in your web browser. No Safebox-data will leave your computer in unencrypted form. Warning! If you forget your password your data will be inaccessible! We do not have any "Forgot password" function, since such functions may weaken the "chain" of security. Listbox with all your stored pages, sorted alphabetically using the Short Description. Clear fields, empty all fields so you can to add new pages, the button on #9 will change to "Add page" after clicking "Clear fields"
The Safebox master password is converted to a AES-256 key using OpenPGP's Iterated and Salted S2K, the iteration code is set to 192, which equals to approx. 4 MB of data to hash (password+salt iterated through SHA-1). This makes the password very slow to bruteforce. An Intel Core-i7 CPU @ 3.2 GHZ can test approx 30 passwords per CPU-core, per second. 62^10 / (30000000*3600*24*365) = 887 years (whole keyspace), and 443.5 years for half the keyspace.